By taking part in vendor promotions, publishers open themselves up to the possibility of huge sales increases, exposure to new readerships and of course, appeasing loyal readers with price drops. eBOUND works closely with merchandisers from major vendors like Kobo, Apple and OverDrive to ensure that Canadian publishers are well positioned to reap the benefits of these promos as often as possible. In order for these efforts to pay off, publishers (like you!) need to curate thoughtfully selected lists of titles for vendors to take into consideration. Here’s some tips to optimize your participation and in turn, see a higher ROI! Every promotional sale is carefully curated by a merchandising manager to appeal to a specific audience at a specially selected moment in time. For this reason, your list of titles should be curated for that same audience. If you send the same titles for consideration repeatedly, your chances of being featured on landing pages, in banners or in major features of the campaign are limited. Make sure you are thoughtfully selecting titles that you know fit in with the campaign. Incorrectly recording ISBNs is a common error that publishers make when submitting titles for consideration. If you miss just one digit or record the print ISBN instead of the ePUB, that title will automatically be omitted from the promotion. Wrong numbers result in missed connections (and we don’t like those!). Double check that you’ve included the right information, including ISBN, price and tile for every one of your submissions. We get it – front list titles are gems that have the potential to make top dollar. However, repeatedly submitting the same backlist titles at the same price point isn’t necessarily the best way to generate the most revenue. Try to mix it up a bit by experimenting with price points, titles with various release dates and a diversity of content. 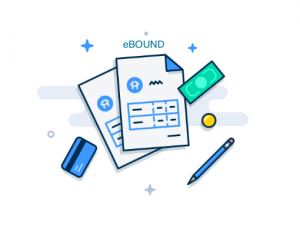 If you have questions or would like more information about participating in promotions through eBOUND, please get in touch with Cassondra Dolan, your Sales and Marketing Specialist.